Absolutely happy with the product with just a little concern withe wheels..wish it was more heavy duty. ordered this cart as I intend it to do double duty on Stickledown range at Bisley as well as pistol ranges. Very happy with carts construction and there is enough flexibility in it's design to allow me to use the bottle bins on the rear to carry my spotting scope and tripod along with two full bore rifles up front with small range bag. On pistol range it has performed admirably, of special note are the pneumatic wheels which work well of soft gravel with a heavy range bag (three large bore handguns and 1000's of rounds. Wish I'd bought this years ago: very happy, and have gathered quite a few admiring looks with it too. Cart is awesome. Only drawback are the VERY POOR quality inner tubes. You'll want to fill them with an entire can or two of no-flat because they will go flat on you! 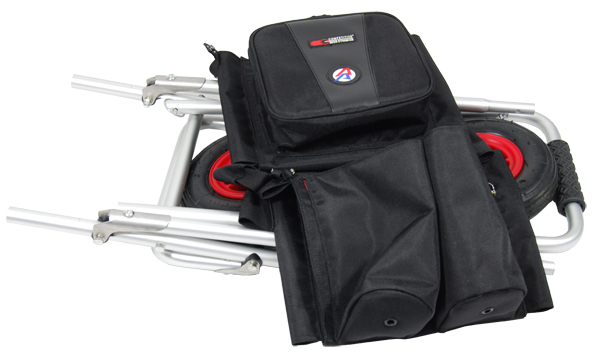 Ordered this to make it easier to move around my LARGE CED range bag, works great, easy to break down and fit in my trunk, very sturdy. The loading station is a little weird till you get used to it, but now I can\'t imagine not having it! 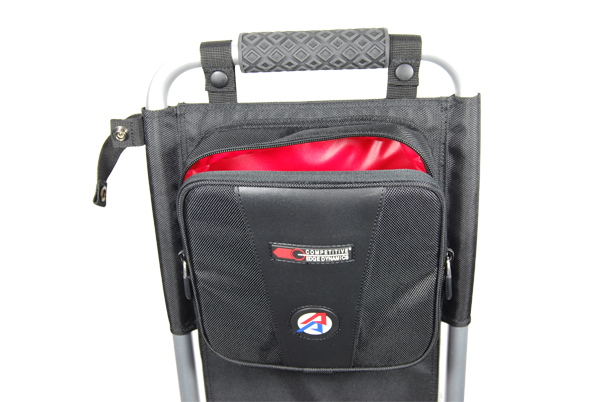 If you have ever attended a match on a really large, spread-out range, you will appreciate how handy and helpful a cart can be. We shooters do tend to lug around a lot of gear and ammo to a big match. 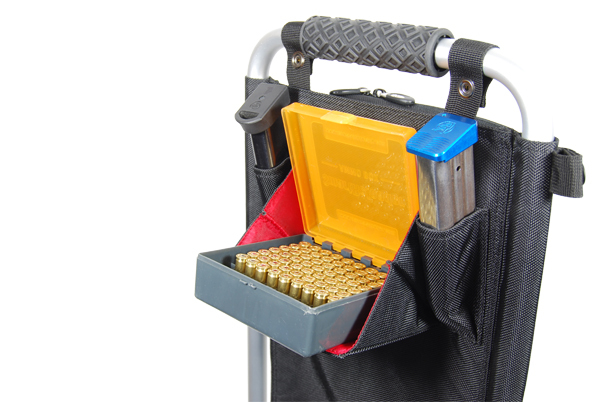 Our new RangeCart Pro is designed from the ground up with the practical shooter in mind. 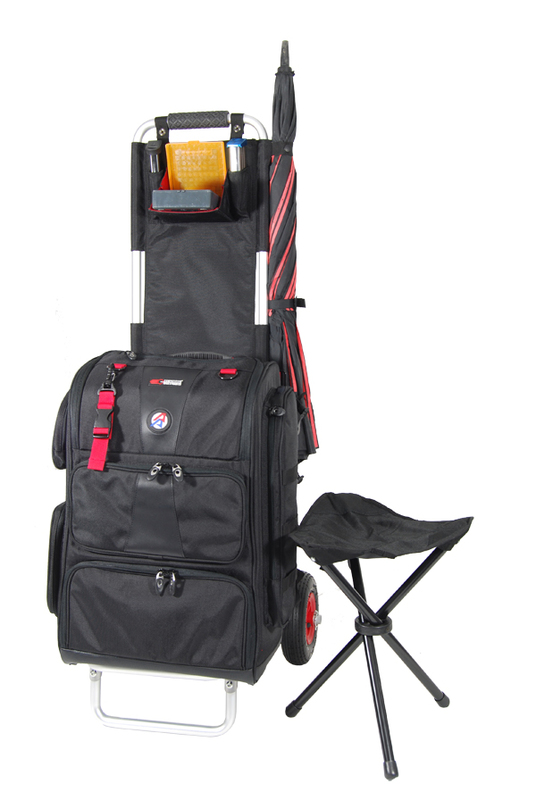 It is designed to be the perfect support product for our RangePack Pro backpack, but can be used equally successfully with almost any range bag. 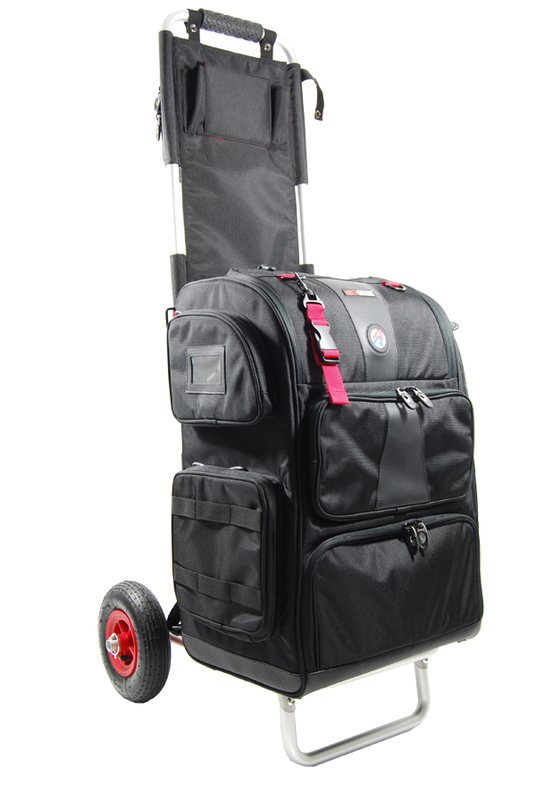 Made of rugged, top quality aluminum tubes and steel joints and hinges, this range cart can securely carry over 50 kg of gear. And with its wide inflatable all-terrain tires, it can carry that weight anywhere you need to go! 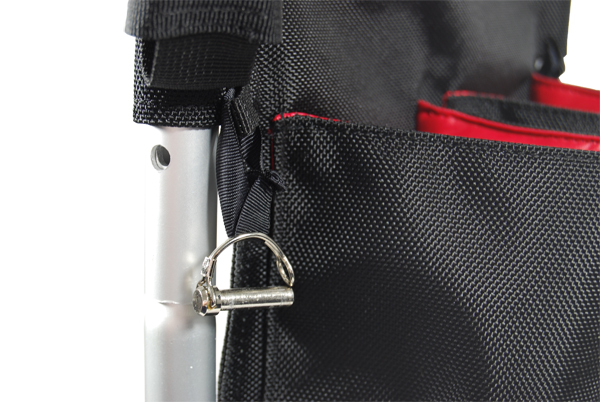 Quick release assembly pins allow you to fold the cart down in seconds, making it possible to pack into any moderately sized suitcase or even the smallest car trunk. You need never leave it behind. 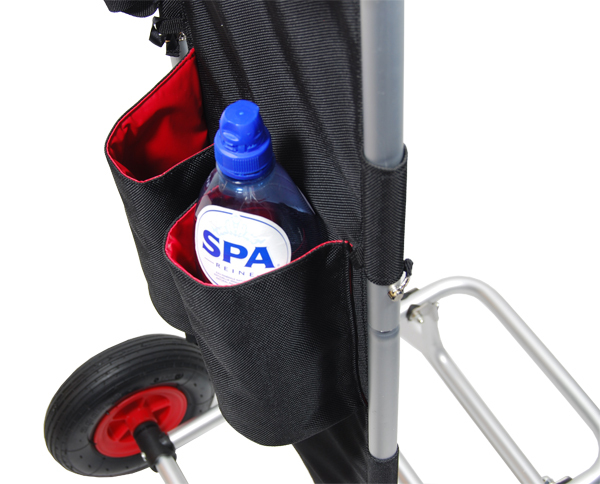 The cart incorporates a clever umbrella holding system, designed to secure a folded or an open umbrella and hold it firmly in place. The D1000 fabric backing is as functional as it is attractive. On the front top end, positioned high for easy access while standing, is a fold-out ammo shelf, on which you can place 100 rounds of ammo and load your magazines comfortably. A great feature for those ranges without tables! Beside this fold-out tray are a couple of extra magazine pockets, for added convenience. Built into the back below the rubberized handle is a generous-sized, heat insulated “lunch box” compartment, the perfect place for your fruit, sandwiches and snacks you want with you out on the range. Below that are two large water bottle holders, easily storing 1 L bottles.